Fig. 1. 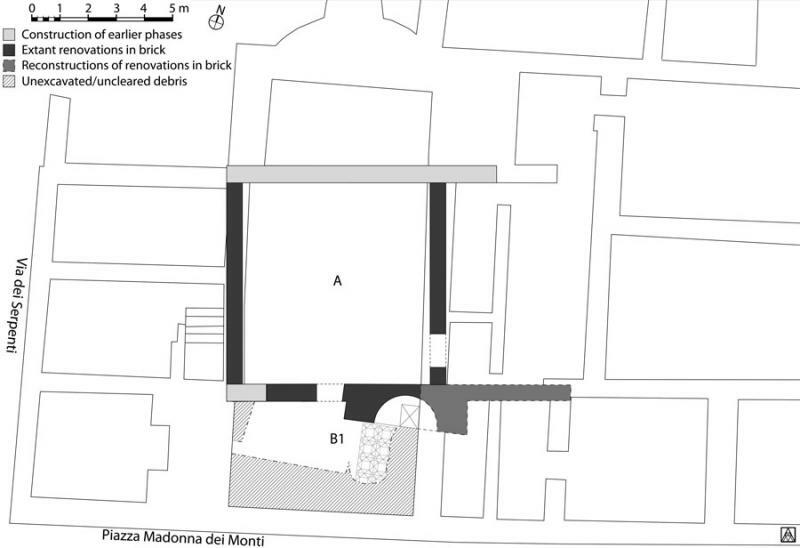 Plan of the house below Santi Sergio e Bacco on Piazza Madonna dei Monti in Rome, showing first phase of imperial renovations carried out in brick. Fig. 2. 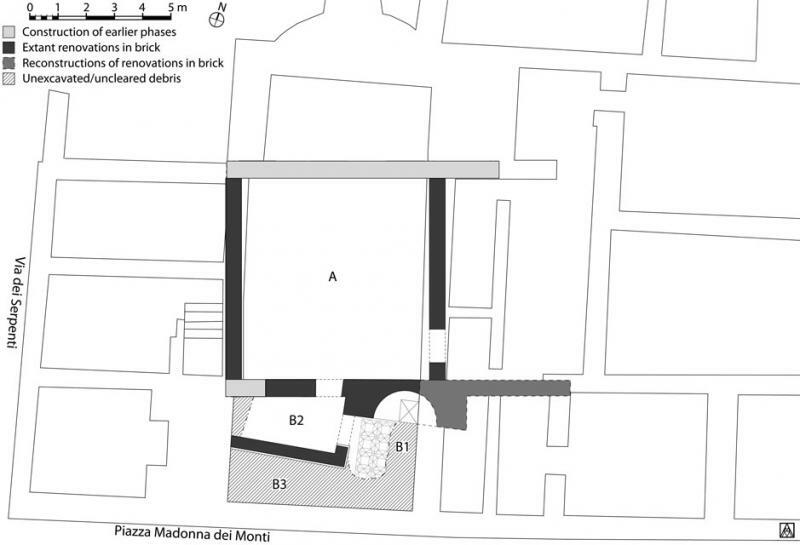 Plan of the house below Santi Sergio e Bacco, showing second phase of imperial renovations in which Rooms B2 and B3 were created within the former space of Room B1 by the addition of an east–west wall and doorway.